Download Before I Go To Sleep in Digital HD from the iTunes store. Before I Go To Sleep images are © Millennium Films. All Rights Reserved. With most films coming out before this Friday since most of America will be out celebrating Halloween, Before I Go To Sleep takes the opportunity to come out in "not so crowded" weekend. 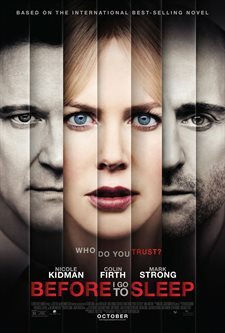 Before I Go To Sleep is a British-American thriller film adapted from a novel of the same name by S. J. Watson, written and directed by Rowan Joffé (28 Weeks Later, Brighton Rock), starring Nicole Kidman (Eyes Wide Shut, Dead Calm), Colin Firth (Kingsman: The Secret Service, Mamma Mia! ), and Mark Strong (Sherlock Holmes, Body of Lies), and produced by Ridley Scott (Alien, Gladiator). The plot revolves around Nicole Kidman's character, Christine, as she battles short term memory loss as she can not remember anything since the day she was deadly attacked years ago. We, as the audience, join Christine during her daily morning wakeup trying to figure out who and where she is. However, the audience soon realizes this is not a normal day and she has been recently trying to figure out more of who she was/is with the help of Dr. Nasch (Mark Strong), and a video diary. The film continues at this pace, Christine waking up everyday finding out a new clue about her life and getting closer to the truth, until we reach the climax of the film, as it all starts to make sense to the audience and Christine. Being a low budget film, the film production and actors give amazing performances that truly rival those of some of the big-budgeted films the stars have recently have acted in. The only true problem that I saw was in the directing and screenplay from Rowan Joffé. Whether it was the original novel translated to closely or that Joffé took too many liberties, the script is very drawn out and drags even with its short runtime of 92 minutes. The directing is a bit choppy and not consistent, but still manages to hold the narrative together. While looking at Before I Go To Sleep as stand alone film it is a little "above average", a thriller without all the special effects and quick cuts that are the "norm" in today's films. It allows you to sit back and solve the mystery with Christine. However, when you compare Before I Go To Sleep to other films with the same premise such as Memento (Chris Nolan, Guy Pearce) it tends to fall apart. Memento (currently holding the #40 spot on IMDB of "all time best films") deals with the same subject of short-term memory loss and how the main actor and the audience try to piece the puzzle pieces together and find the meaning to his life. Shot–for-shot Before I Go To Sleep pales in comparison to Memento. If you are bored this Halloween weekend, and like a good drama then you should definitely check out Before I Go To Sleep. 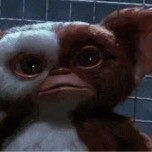 However, if you have the choice of seeing Before I Go To Sleep or seeing Memento for the first time. I suggest the latter, you will have a much more enjoyable experience.